“I got tired of waiting after twenty years for David (Gilmour) or Roger (Waters) to ring me up, so put my own band together,” explains the seventy-five year-old founding member of Pink Floyd. The ensemble includes long-time Pink Floyd and David Gilmour bass player Guy Pratt, Blockheads guitarist Lee Harris, Spandau Ballet’s Gary Kemp on guitar and vocals, and producer/composer Dom Beken on keyboards. 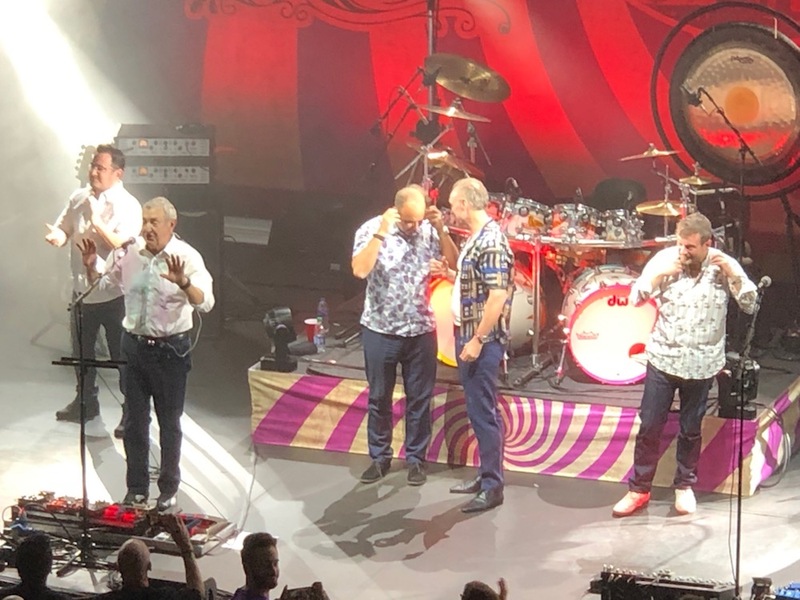 Last week, the group came to downtown Denver’s Paramount Theatre on the seventh stop of the North American leg of the tour playing a variety of songs from the band’s early catalog. The six albums whose material was performed were all release before the classic Dark Side of the Moon. Throughout the two-hour and fifteen minute show, the band paid their respects to the various members of Pink Floyd, including Syd Barrett, who had to leave the band as his continued use of psychedelics got him kicked out of the band. Nonetheless, Barrett as the original songwriter left his legacy on Floyd’s first two singles and debut album. The also included his solo composition “Vegetable Man”, which Mason acknowledged had never been performed at a Pink Floyd concert. Two new songs were added for this leg of the tour, “Remember A Day” from 1968’s Saucerful of Secrets, and “Childhood’s End”, which can be found on Obscured by Clouds, released four years later. The later song, is loosely based on the Arthur C. Clarke novel of the same name. The musicians did an amazing job of reproducing the album vocals of Barrett, Gilmour, and Waters, as well as a nearly note for note on the songs. Any fan of the vintage Floyd, was treated to the kind of show they would have seen in 1972, in an intimate setting, as opposed the large arenas and mammoth stadium gigs of the later years. Here’s a good YouTube video with highlights from the show. If you can catch this show at any of the remaining tour stops, you won’t regret it.